Your next party is right around the corner. Game-time has almost started and you have no idea what to bring. 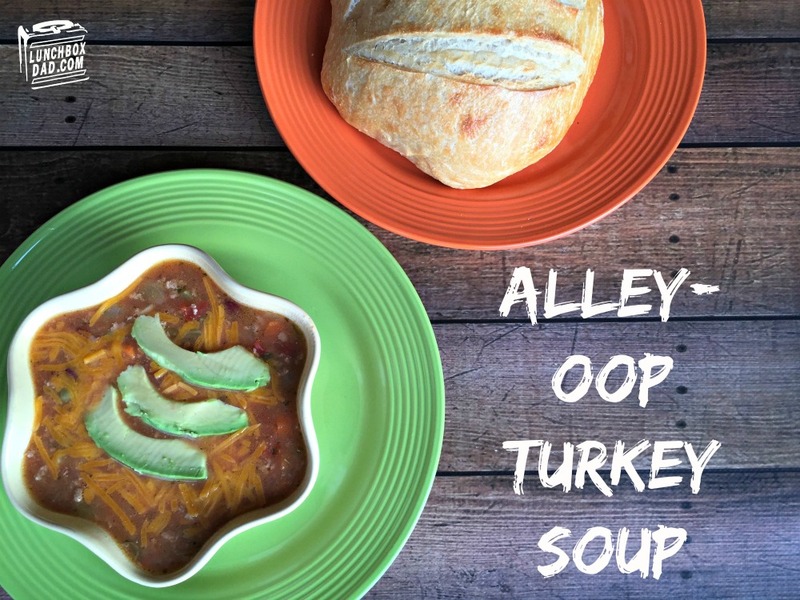 Never fear, because my new recipe for Alley-Oop Turkey Soup always comes through in the clutch. 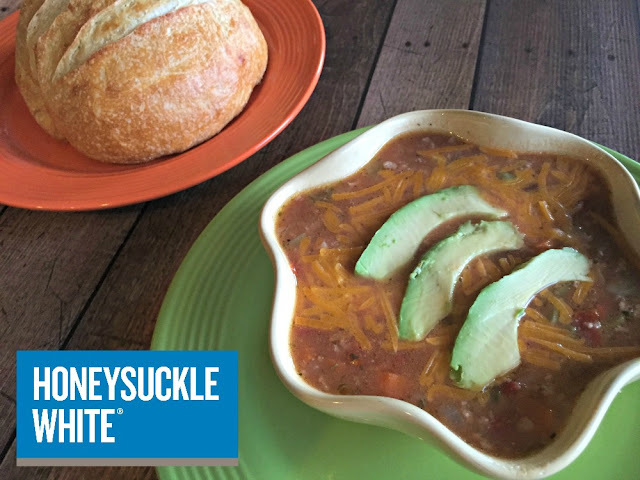 Whether it's a neighborhood party watching the championship game, or your family is actually going to the playoffs, this recipe is perfect for adults and kids. It will standout among the crowded food table and fill you up. An alley-oop is a spectacular basketball play that finishes with a slam dunk, which is exactly what this soup is! 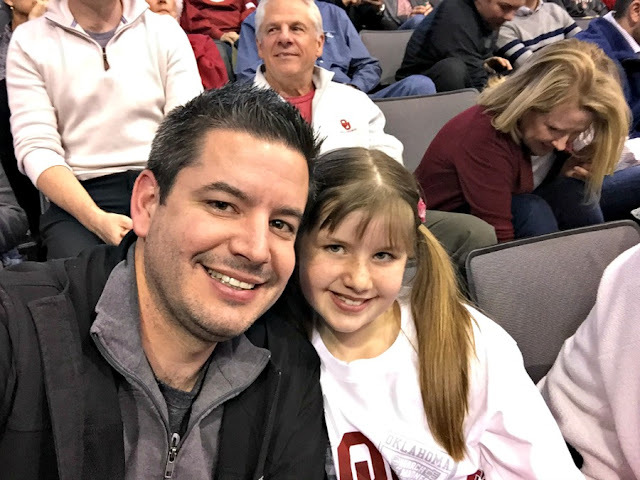 Below is a picture of my daughter and I at the recent college basketball playoffs. Trust me when I say that no food served there filled us up like my Alley-Oop Turkey Soup! because it is easy to make and you can fill your house with the tasty aroma while letting it simmer on the stove top. You also have the option of putting all in a crockpot for easy travel! 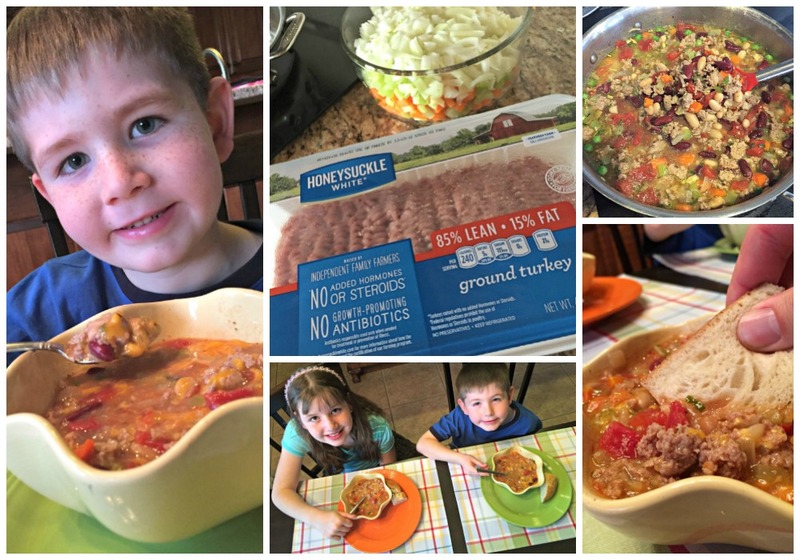 After you read my recipe, make sure and click over to LifeofDad.com and enter your own #SouperiorDinner recipe in their #TurkeyMadness recipe contest. They are crowning winners every week and you could walk away with $250! Just CLICK HERE for all the instructions and to enter. 1. Cook ground turkey on stovetop until it is evenly browned, crumbly, and no longer pink. Drain and discard and excess grease. 2. Cook mixed vegetables on stovetop in butter or oil until tender. 3. Place turkey in large pot. Add cooked vegetables, tomatoes, beans, vegetable soup mix, and water. Bring to a boil. Reduce heat and simmer for at least an hour. 4. Pour into bowls and top with shredded cheese and avocado if desired. Serve with chunks of bread on the side. Enjoy!